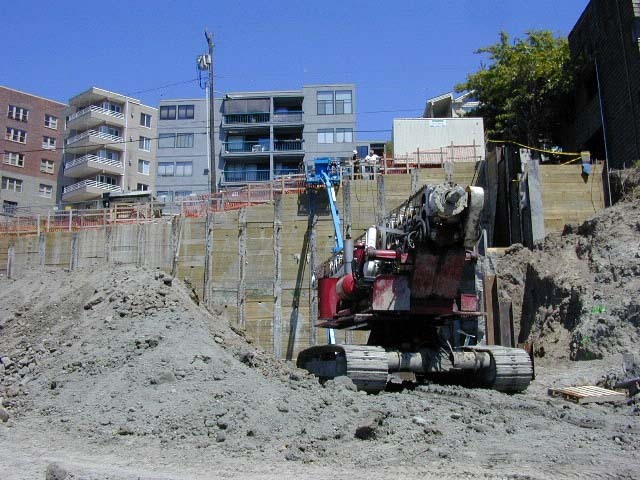 Steel, wide-flange soldier piles with wood-lag infill was used to retain soil during the excavation phase. 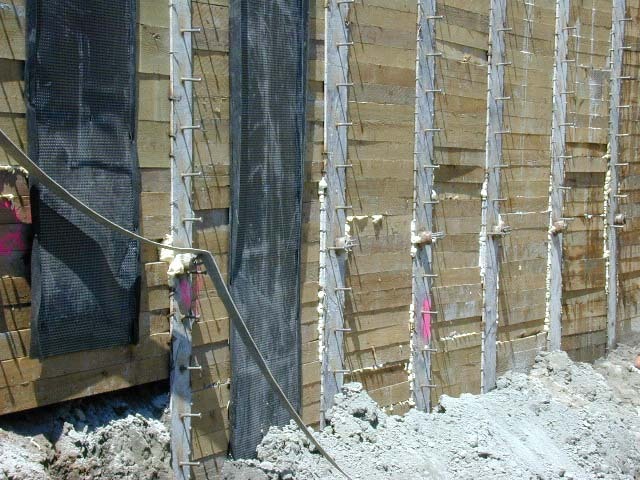 Multiple tiebacks were used to anchor the soldier piles at various elevations during excavation. 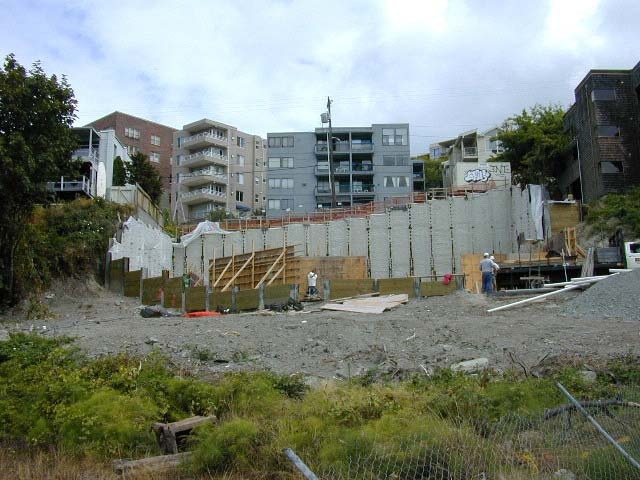 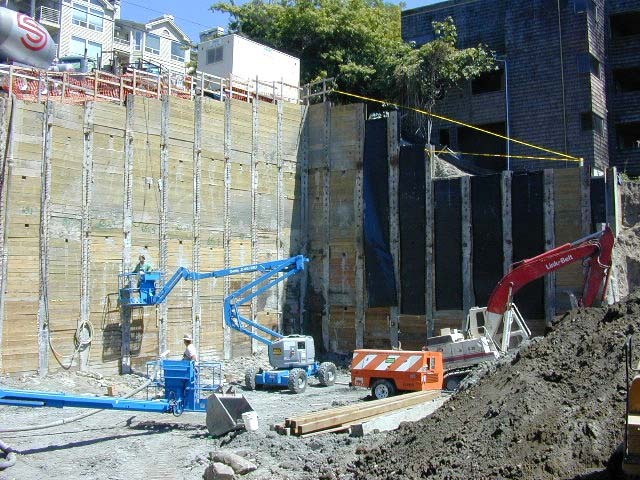 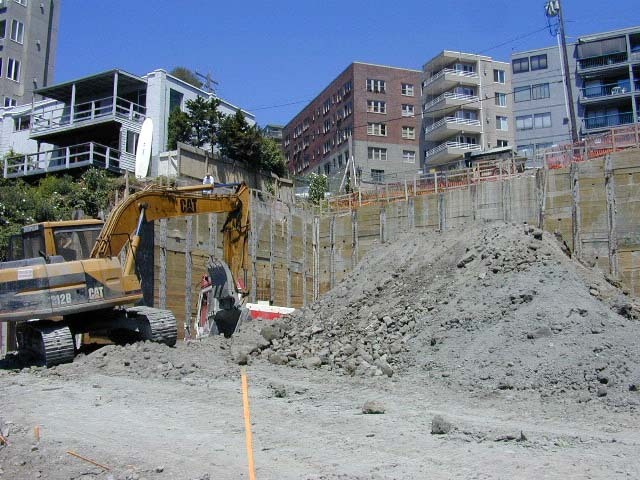 This is the most cost effective shoring solution for this type of excavation.